I cannot believe that we are already at the end of 2010. Our first full year in Melbourne has certainly flown by. I am very excited that there are only 4 working days of the year left before The Brooding Architect and I jet off to Queensland for Christmas and the New Year. (I promise that I will do my best to do some posts from the road while I am away). Before we leave Melbourne for the year, we had a few of our friends around yesterday for some festive chilled spiced cider and mince pies. 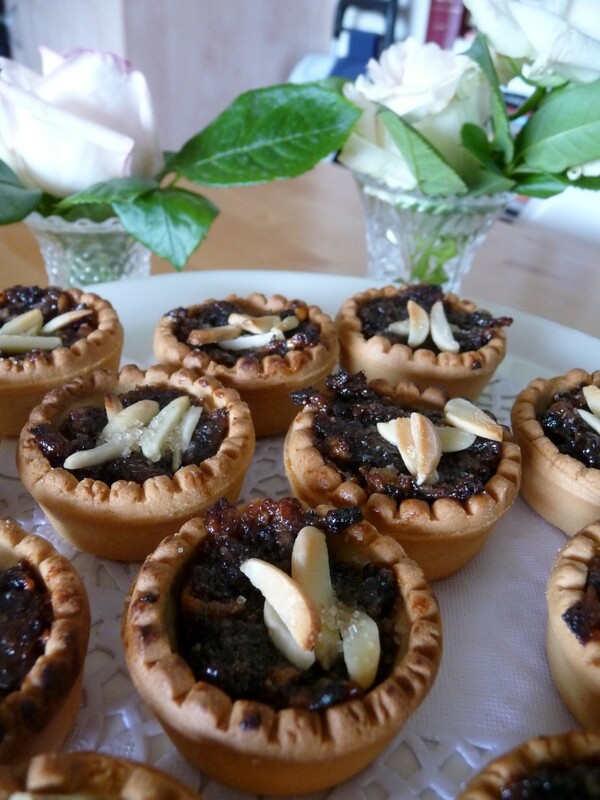 The fruit mince pies were a real hit – although I have a confession to make – while I did make the fruit mince from scratch, I completely ran out of time and had to use store bought pie cases. I promise you though, I am making home-made pie cases later in the week (as a gift for The Brooding Architect’s Grandma). Here is the recipe I used for the Christmas Fruit Mince – it is modified from the recipe in the cook book ‘Margaret Fulton Christmas’. A word of warning, this recipe makes LOTS and LOTS of fruit mince. Don’t be deterred by the large quantities though. Fruit mince pies are always well received gifts and any extra fruit mince can be kept for months in the fridge – perfect for Christmas in July – or mixed with vanilla ice-cream and brandy to make Christmas ice-cream. 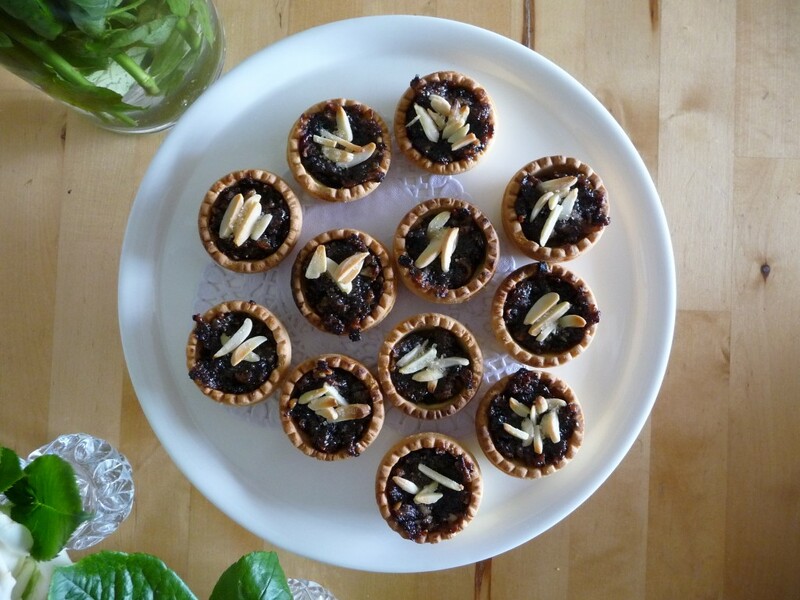 Fruit Mince Pies, topped with slivered almonds and raw sugar. Combine all of the dried fruit and the slivered almonds in a large bowl. You want to ensure an even distribution of fruit throughout the mix. Process batches of the dried fruit and almond mix in a food processor. Pulse to coarsely chop. Spoon chopped dried fruit and slivered almond mixture into a large bowl and combine with grated apple, brown sugar, melted butter, brandy, spices and orange rind and juice. Place into a large storage container with a lid – or just cover the mixing bowl with glad wrap, provided that it is not metal as a metal bowl can taint the flavour of your fruit mince – cover and chill, stirring daily, for at least 3 days before use. Ben & Nat: Fantastic to see you both as well. Expect a Scales & Ales review in coming days!